When undertaking a whole new SEO project, there are a lot of things that you need to keep in mind including What is SEO?. It can seem like a daunting task, especially if you are new to it, or have not had a lot of experience with it. For this reason, this article brings you a compilation of handy checklist pointers, with the help of which, you can easily remember everything that is essential to starting a new SEO project! There are a few things that you must keep in mind before undertaking a new SEO project. If you remember these small things, you will be able to draw a lot more traffic to your website. Simply by incorporating these techniques, you can easily double, or even triple your profit. So, what are you waiting for? Dive into this article to know more about the SEO checklist! Most searches occur on phones, as opposed to on tabs or other desktop devices. This means that simply making your page desktop friendly is not enough. 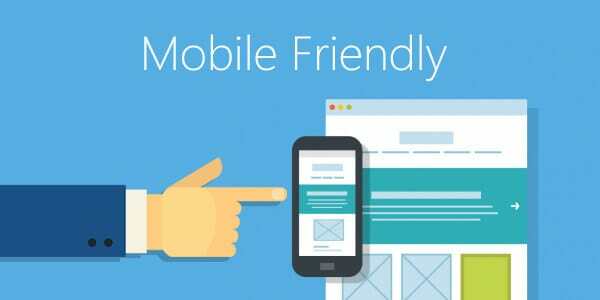 To make sure your SEO project gets the recognition and traffic that it deserves, you must make sure to make your Website mobile friendly as well. Without that, people will not be drawn to your website when browsing through their phones and this can set you back quite a long way. You can check for how your project is performing on mobiles using the Mobile Usability Report. This report will allow you to see and improve your new SEO project and make it more suitable for mobile use. This is an open source project with the help of which; pages can be loaded on mobile phones almost immediately. This, of course, draws more traffic by making your new SEO project seem a lot more attractive. More people, rely on Google voice search when browsing through their cell phones. This means that you not only need to optimize your project for probably voice activated keywords like “near me” but also make it include type search keywords. Without both of these, your project gets left of at least one search area. It is very important to ensure that the meta tags of your web page are in a proper sequence. It must follow the approved order to generate enough traffic – title, description and then followed by keywords. Title tags are most effective when they only have about nine to ten words. It should include the most relevant as well as the most searched keywords. The description tag should also include relevant information. They must contain all the important keywords to make sure your SEO project is properly searching engine optimized. You should also consider tagging your web pages using the keywords used. This will make it much easier to find your SEO project on popular search engines. Dividing your keywords into primary and secondary keywords will help you to keep track during a change of hands as well! Heading tags are useful because they act as visual cues which can help readers to effectively summarise the content of your web page and help them to know which are the key points covered in your SEO project. Word count is also of vital importance. While your webpage should not be very lengthy, it must also cover the topic at hand effectively and with enough information, so that users are not left with any questions. If your SEO project requires the use of images and videos to be embedded in the webpage, it must be done in such a way that they are not too distracting, and also not too obscure. They must be portrayed in a way such that they are easily visible, accessible by users, and also not distracting enough to draw away the user’s attention from the main text. This helps the search engines classify your web page. It tells the search engine what kind of information the age provides, and what your page is essentially about. This vital information helps to draw the target audience and generate more traffic on your web page. Social mark-up decides what your web page looks like on social media platforms like Facebook or Twitter. Since online advertising is mostly about the visual aspect and a lot less about the audio and text, looking good and inviting can help draw traffic to your page. 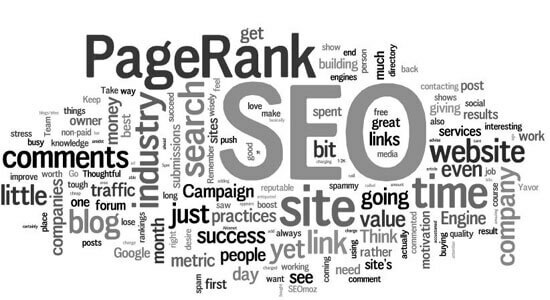 Optimizing your URL is very important when you undertake a new SEO project. Shorter URLs with keywords, but without any keyword stuffing is preferable to longer URLs which are complicated and not descriptive. When using links in your SEO project, it is a good idea to use independent and fully qualified links instead of using relative links. That way, it is quicker and easier for search engines to locate external files or pages that the links lead to. It is very important to make sure that the content that you are using is fresh and up to date. If it is not up to date, you run the risk of falling behind in the competition. To make sure that your web page draws as much traffic as it should, you must make sure that your new SEO project is properly optimized. For that, it ought to display your contact information. This will ensure that your customers can access your business with ease. If you have testimonials on your SEO project, it helps to build credibility for your business and builds trust between you and your customers. This, in turn, draws more traffic to the page and ensures that you get the recognition you deserve. 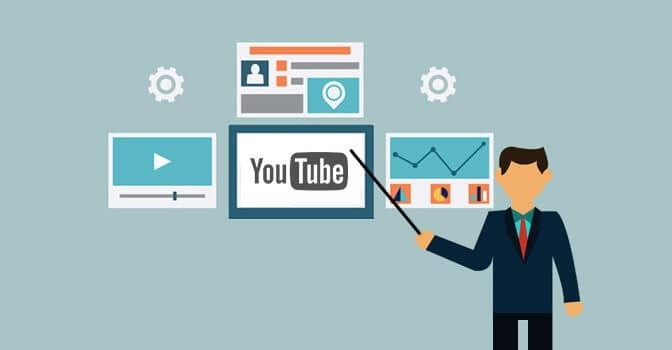 It not only builds trust and helps to build better connections, but it also makes you seem reliable, and that provides an edge to your new SEO project in a market that is quite, unfortunately, saturated with phony companies. If you have not included a privacy statement on your web page, it is highly recommended that you immediately so. This is because the presence of a properly detailed privacy statement is recognized by most reputed search engines as a signifier of a trustworthy web page, and your page will be more likely to show up among the top results. Without this, you miss out on a huge chunk of traffic. Using text navigators allows you to draw in more customers because not only does it make the page more accessible to the search engines, but it also makes the webpage easy to use. When there are clear instructions in text on how to navigate a website, people are obviously more likely to use it. When undertaking a new SEO project, you cannot discount the usefulness of the HyperText Markup Language, or what is more commonly known as HTML. Not only is HTML very web-friendly, but it is also spiderable, meaning popular search engines like Google can pick it up easily. This will place your web page among the top listed results, provided you include an HTML sitemap. Sitemaps will also help to draw in customers because they make it considerably easier to navigate and use a web page. Including an HTML sitemap should be one of your main priorities when undertaking a new SEO project because without it, you might miss out on drawing traffic to your project, which is of course your top priority. It is absolutely essential to make sure that the content on your home page is not only unique but also static. A home page on which the content changes regularly and is not static, can cause the traffic to get diluted. This happens because regular visitors often get confused by the changing information, and often opt to change their preferences and visit another website. This is of course, extremely undesirable when all you are trying to do is build credibility and attract more traffic on your SEO project. The importance of this cannot be stressed enough. It is of vital importance to make sure that all content and word on your webpage is original, and not copied from somewhere else. The presence of duplicate content online will not only land you in legal trouble, but will also dilute your traffic. Plagiarizing can cause serious legal trouble and if you want to avoid a lawsuit, it is always advisable to first check if your content seems plagiarized. It is essential to avoid keyword stuffing, or spamming your new SEO project with keywords if you want to generate more traffic and direct it towards your project. This is because in most cases, keyword stuff can cause your customer to lose trust. Sometimes, a webpage may face a crawl error issue. This happens if, for someone reason, the search engine cannot access the page owing to some flaw in the underlying code of the page. To make sure your page is available, it is important to troubleshoot this particular problem as soon as people so that people are not turned away from your website because on inaccessible page. Most search engines provide a Crawl Error Report, where you can find details on the actual underlying issue. Once you have a proper understanding of the problem, you can then begin to address the problem and eventually resolve it as well. This one is obvious. To make sure that traffic is directed to your new SEO project, your site performance has to be absolutely top notch. If you are trying to build a solid customer base, you cannot compromise on site performance. The performance of the site depends a lot on how speedy it is. The faster the pages f your SEO project load, the more comfortable people will be using it, and the more likely they are to recommend it to other people. It also helps to make the site look aesthetically pleasing and make it user-friendly. This checklist, however, is not exhaustive. There is a lot more to keep in mind when undertaking a new SEO project, and taking the help of a professional SEO Agency can go a long way in helping you out in this regard. One of the best teams that you can rely on is Appenics. Not only will they help you to plan your project, but they will also guide you through the execution so that you may be able to make the maximum benefit. They can help you draw traffic to your Site from various platforms like social media, and can also make your website mobile phone friendly so that even when people are browsing through their cell phones, they will be directed to your page. Their team of professionals is highly trained, and their main aim is to make sure to put your needs first. This guarantees complete customer satisfaction. Working with Appenics will let you stop worrying about building traffic, and allow you to focus more on the other important aspects of a SEO project. Their policies also allow you to get an approximate quote on the project, so that you have a fair idea of how much money you will require before you commit to working with them. Their policies are also pocket-friendly, which makes sure that you will not end up burning a huge hole in your pocket to set up your business! Appenics in providing cost-effective IT solutions along with website design & development services. Established in August, 2015, with over 3+ years of rich experience, it is apex rated IT serving companies around the globe. It deals with all the IT related solutions including web design and development, software development, mobile application, digital marketing.